Police would not call the attack terrorism but said Minassian's actions were deliberate. Alek Minassian is pictured in a photo from LinkedIn. 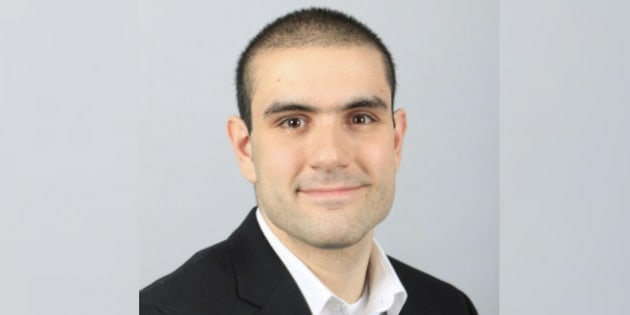 Twenty-five-year-old Alek Minassian is allegedly responsible for an attack in north Toronto that killed 10 people and injured 16 others, police said Monday. Minassian lived in Richmond Hill, Ont., a suburb north of the city, Toronto Police Chief Mark Saunders told reporters at a press conference. Investigators are working to determine how long it took for an arrest to be made, Det. Sgt. Graham Gibson said Tuesday. Video obtained by Storyful appears to show Minassian pointing something at police and asking to be shot. In the footage, a man can be seen pointing an object at a police officer, who yells, "Get down!" "I have a gun in my pocket," the man appears to say. "I don't care ... Get down or you'll be shot," the officer responds. "Shoot me in the head," the man says. Saunders praised the officer for arresting Minassian without incident. "The officers here are taught to use as little force as possible in any given situation," Saunders said. ​​​​"The officer did a fantastic job ... and had a peaceful resolution at the end of the day." Saunders said there was nothing to indicate that Minassian actually had a gun. He was not known to police. Saunders wouldn't call the attack terrorism but also said that investigators were not ruling it out. Minassian ran down pedestrians on purpose, Saunders said. "It's very clear from a general perspective that the actions were deliberate." Public Safety Minister Ralph Goodale called the attack horrendous, and said it was not related to national security. He previously said there is no information indicating that the Canada's terrorism threat level should be raised. CLARIFICATION - April 24, 2018: Investigators are still working to determine how long it took for an arrest to be made, Det. Sgt. Graham Gibson told reporters Tuesday. A previous version of this story reported Chief Mark Saunders' Monday night statement that suspect Alek Minassian was arrested 26 minutes after police received the first 911 call.